MOSCOW, November 2. /TASS/. The newest methods of navy-aviation interoperability were tested in the ‘Ocean Shield’ drills in the Mediterranean Sea that also involved strategic Tu-160 missile-carrying bombers and A-50 airborne radar early warning and guidance systems, Russian Defense Minister Army General Sergei Shoigu said on Friday. "Let us sum up the results of the ‘Ocean Shield’ drills that were held in early September in the Mediterranean Sea. This exercise was held at such a distance from Russia for the first time in the country’s modern history," Shoigu stressed. The drills practiced measures for a multi-service grouping of forces and troops to prepare for and conduct combat operations, the defense minister said. "During the drills, the newest tactical techniques and methods of the operation of shipborne forces and aviation were tested," Shoigu said. 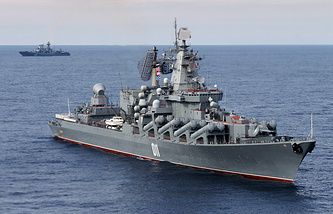 The warships of Russia’s Northern and Baltic Fleets made a voyage to a distance of over 4,500 km while Caspian Flotilla ships passed through the Volga-Don Canal and the Black Sea Straits from the Caspian Sea, he said. "Naval aviation aircraft flew from Northern, Baltic and Crimean aerodromes to the Hmeymim airbase, covering a distance of over 5,000 km. 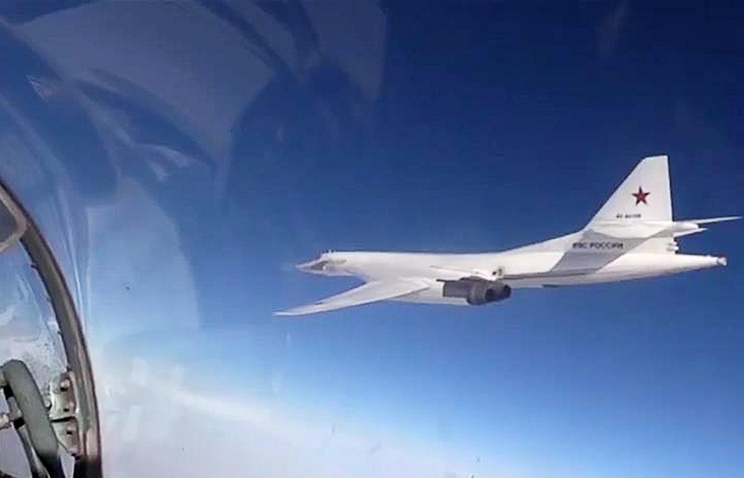 Strategic Tu-160 missile-carrying bombers, A-50 airborne radar early warning and guidance systems and Il-78 aerial refueling tankers of Russia’s Aerospace Force were involved in the drills," the defense chief said.